Ms. Grandjean practices domestic relations, municipal law and estate planning/probate. She focuses her domestic relations practice on Ohio divorce, military divorce issues, child support law, grandparent rights & visitation, child custody, legal separation, annulment, domestic violence, and alimony law. She handles high-conflict, high-asset divorces and more routine, negotiated or mediated divorces and dissolutions as well. She is experienced in divorces where one or both spouses are located outside of the US as well as with international abduction and custody cases. She deals with families before marriage as in the drafting and negotiation of prenuptial agreements and co-habitation agreements. She represents all kinds of families from the traditional nuclear families to gays and lesbians and other cohabitating couples as well as unmarried individuals who have child support and custody issues. She also assists families and individuals following divorce in matters related to contempt of court, collection of support and alimony, modification of support and alimony, division of pensions and retirement benefits, and other issues related to enforcement of the divorce decree. Ms. Grandjean provides representation to those seeking to establish parentage through juvenile court, as well as to those who seek to adopt a child or oppose the adoption of their child. Because of Altick & Corwin’s proximity to Wright-Patterson Air Force Base, Ms. Grandjean has provided representation to many service members and their spouses, while the service member is on active-duty, deployed overseas, and/or retired. She is well-versed in the Service member’s Civil Relief Act, the Uniformed Former Spouses’ Protection Act, the Survivor Benefit Plan, as well as with the VA Disability Benefits and Military Disability Retired Pay plans. She also works with federal civilians and their spouses and is familiar with the Federal Employees Retirement System, the Civil Service Retirement System, and the Thrift Savings Plan available to federal employees. Ms. Grandjean also represents state employees and their spouses and works to ensure that pension plans are fairly divided at divorce. This requires familiarity with STRS, PERS, and the Ohio Police & Fire Pension Fund. Ms. Grandjean is experienced in dealing with interstate cases as well as international cases where one or both spouses are located outside the US but jurisdiction lies in Ohio. 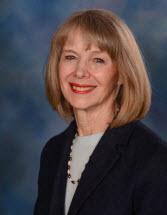 Ms. Grandjean serves as the Law Director of the City of Riverside. As such, she advises city officials on legal issues, drafts legislation, and oversees the functions performed by the prosecutor. Ms. Grandjean handles the various complexities of municipal representation including land use and zoning, real estate and transactional law, as well as personnel and employment matters affecting local governments. She also served as the Law Director of the City of Oakwood from 2005 to 2010. Ms. Grandjean has also counseled and represented employers and employees throughout her legal career. She handles cases involving discrimination, federal, state and local government service, Title VII, the ADA, ADEA, FMLA, Wage and Hours, wrongful termination, and breach of contract.